Sean Szymkowski March 7, 2018 Comment Now! 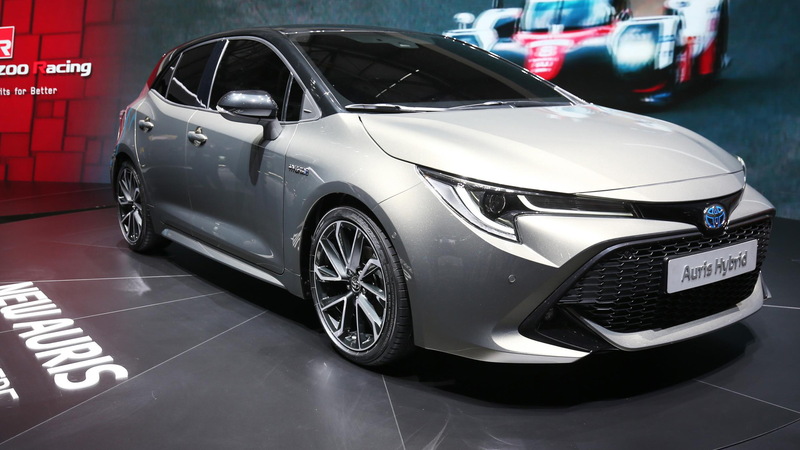 The 2019 Toyota Corolla hatchback, or Auris in European markets, made its debut on Tuesday at the 2018 Geneva International Motor Show. 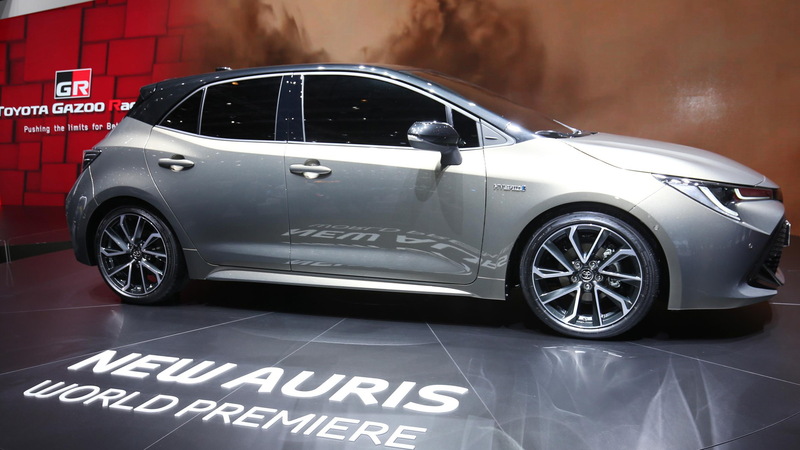 The car is highlighted by chiseled new looks, and the Japanese automaker is doubling down on hybrid power for the popular compact car. The 2019 Corolla hatch will feature just one conventional internal-combustion engine: a 1.2-liter turbocharged inline-4. 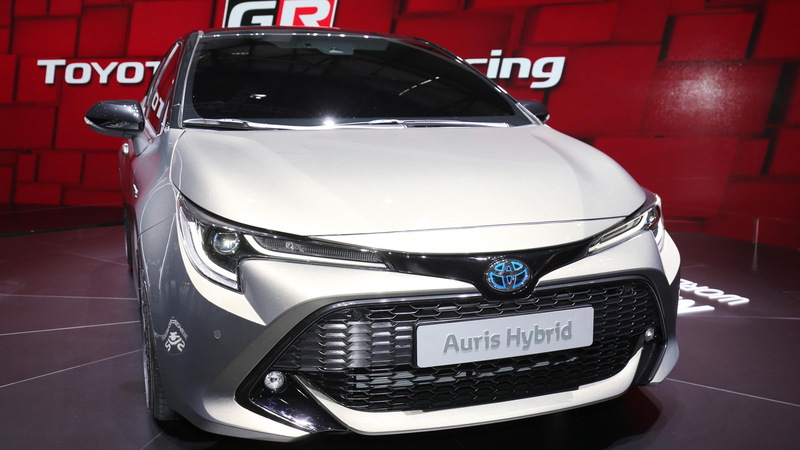 The other two engines feature Toyota's hybrid technology. They are a 1.8-liter engine paired with a motor to produce 122 horsepower and a new 2.0-liter inline-4 hybrid engine good for 180 hp. 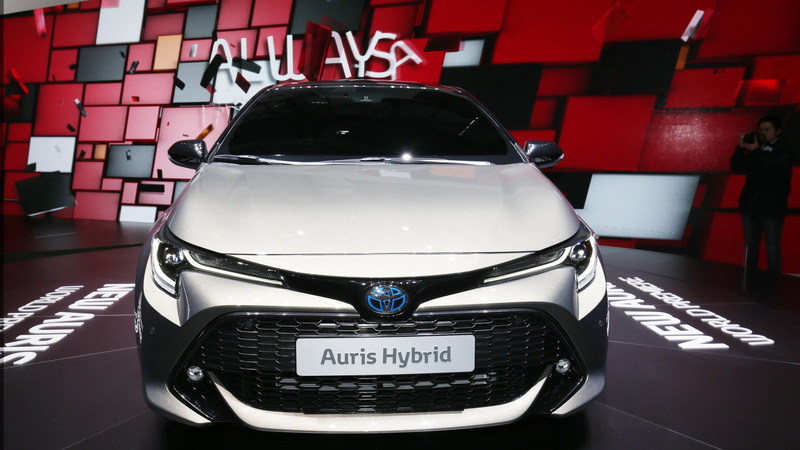 Toyota said the 1.8-liter unit features everything consumers love about the brand's hybrid powertrains—smooth and quiet operation and a low cost of ownership. Diesel fans will have to look elsewhere. The new 2.0-liter hybrid engine builds on the 1.8-liter's competencies and takes advantage of Toyota's TNGA architecture that also underpins the new Camry and Prius. Without discussing specifics, Toyota said the engine will offer an "energized" drive with a more engaging, fun-to-drive experience. We know the new powertrain also boasts 40 percent thermal efficiency. The Corolla will have paddle shifters, too. The design marks a distinct evolution from the previous Corolla hatchback with sharper headlights and a wide lower "catamaran" grille, also akin to recent Toyota designs. 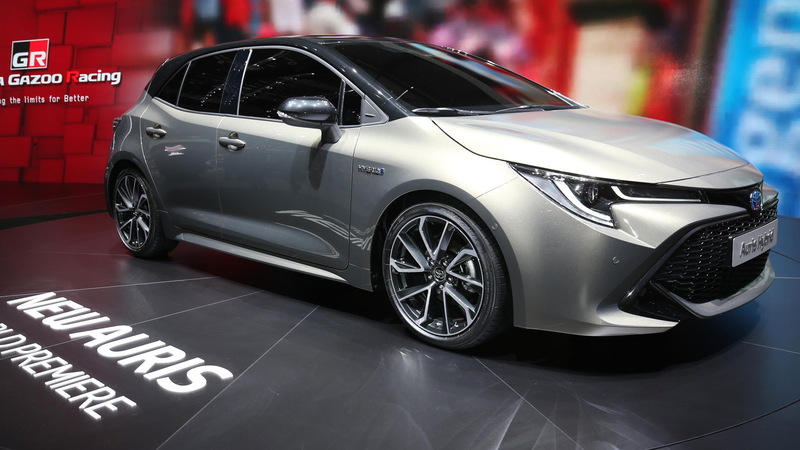 The new hatchback's lower stance is also thanks to the TGNA architecture. Designers and engineers said the lower center of gravity afforded the wider and lower look, but also retained interior space. At the rear, the shape is rounder and projects a more compact footprint, despite the fact the 2019 Corolla hatch is actually 1.5 inches longer. A more dramatic rear windshield rake and fender hips also lend to the hatch's more planted look. It's unclear if Toyota has plans to ship the 2019 Corolla hatch to the United States, but if it does expect the car to continue on under the Corolla iM nameplate. The previous-generation Corolla hatch came to the U.S. as the Scion iM, but it was rebranded a Toyota Corolla iM following the demise of the Scion brand. As for the new Corolla sedan, Toyota should take the covers off the car late this year or early next. For more news from Geneva, see our dedicated hub.